For two years, Hougang resident Padmarani Srivatsan has been collecting raw food scraps – like vegetable and fruit peel – that she throws out from her kitchen, turning it into soil nutrients for her plants. Singapore will enhance its National Recycling Programme (NRP) by providing one recycling bin for every HDB block with daily collection. 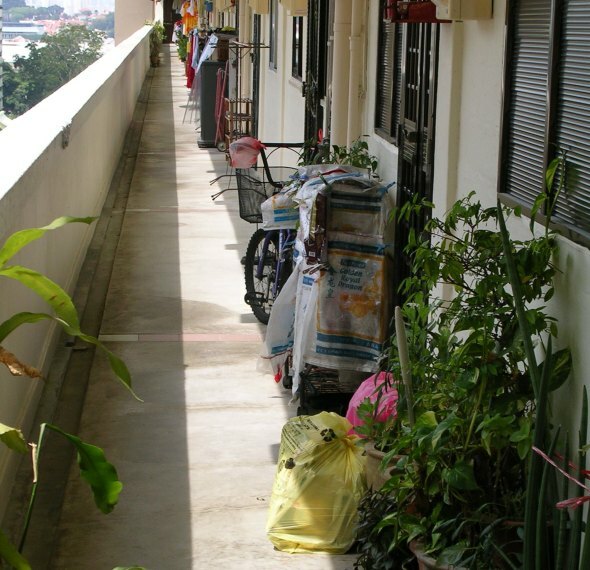 This is an increase from the previous rate of one bin for every five blocks of HDB flats. On average, a resident in Singapore generates 860 grammes of waste every day – which is one third more than in Germany or Taiwan. 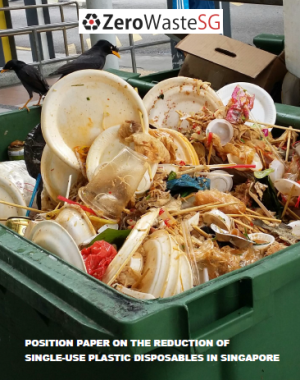 Over a year, Singapore can dispose enough waste to cover one eighth of Singapore’s surface area, said Minister for Environment and Water Resources Yaacob Ibrahim in Parliament on Friday. 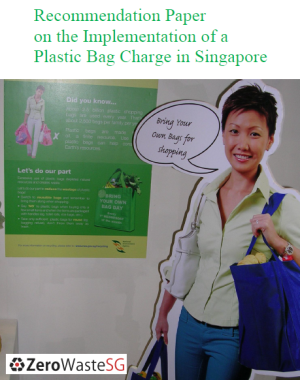 To reduce waste and encourage more recycling, “we will make it easier for households to recycle. 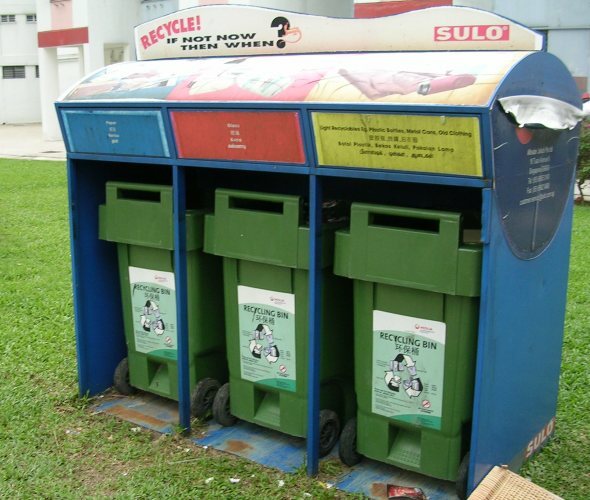 Households can now look forward to more recycling bins and more frequent collection services,” said Dr Yaacob. 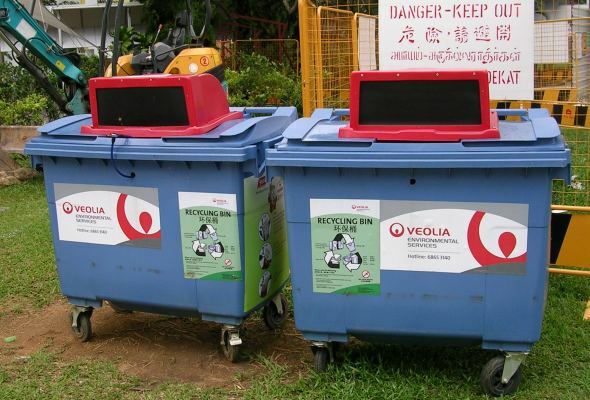 Do you know that there are 7 common types of formal and informal recycling at HDB housing estates in Singapore? 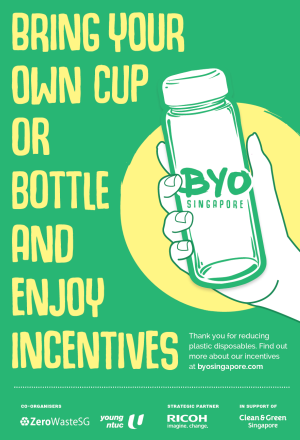 If you’re staying in a HDB flat, you would likely come across or participate in one or more of those types of recycling. 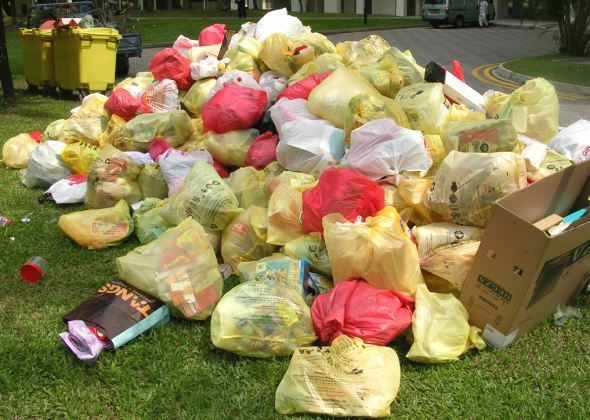 The National Environment Agency (NEA) has implemented the National Recycling Programme (NRP) since 2001, where recycling bags or bins are given to residents living in HDB housing estates and landed properties. These recycling bags and bins are provided by the licensed recycling contractors and the recyclables are collected once every two weeks at the doorstep. 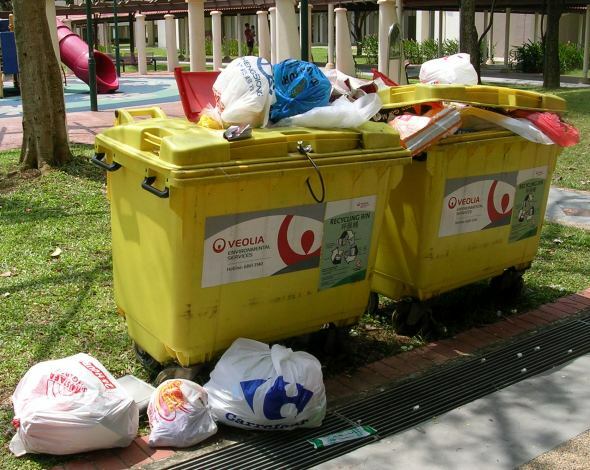 To complement the NRP, NEA has requested the recycling contractors to place centralised recycling depositories (CRDs) at all HDB estates, since August 2007. There will be a CRD for every 5 blocks of flats and the locations of the CRDs can be found at OneMap under the Environment – Recycling Bins theme. The recycling contractors usually organise a recycling exchange once a month by working with the Residents’ Committee (RC) to set up recycling stations for residents to exchange their recyclables for cash or food items. 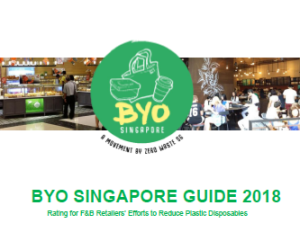 For example, Colex has the Cash for Trash Programme in the Jurong sector, and Veolia has the Recycling Exchange Initiative (REIT) in the Pasir Ris-Tampines, Bedok, and Tanglin-Bukit Merah sectors. 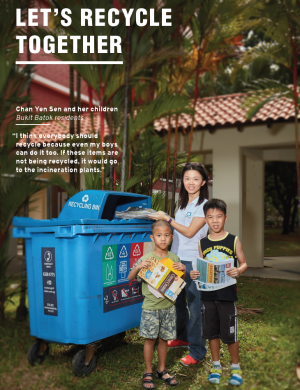 During the Tzu Chi Recycling Day, which falls on every second Sunday of the month from 8.30am to 11.30am, the Buddhist Compassion Relief Tzu Chi Foundation volunteers will set up recycling points at housing estates in 14 locations across the island. The volunteers encourage residents to bring their recyclable items from their houses and to help in the sorting of the items. There are frequent school recycling collection initiated by students to collect newspapers and old clothing for fundraising or for charity. 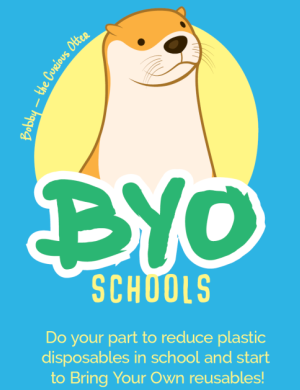 The students doing the recycling collection for an area usually have to work with the licensed recycling contractor who are in-charge of the NRP for that area, and sell the recyclables to them. The traditional unlicensed karang guni man or rag-and-bone man goes from door-to-door to collect items from residents, such as newspapers, televisions, radios, and computers. 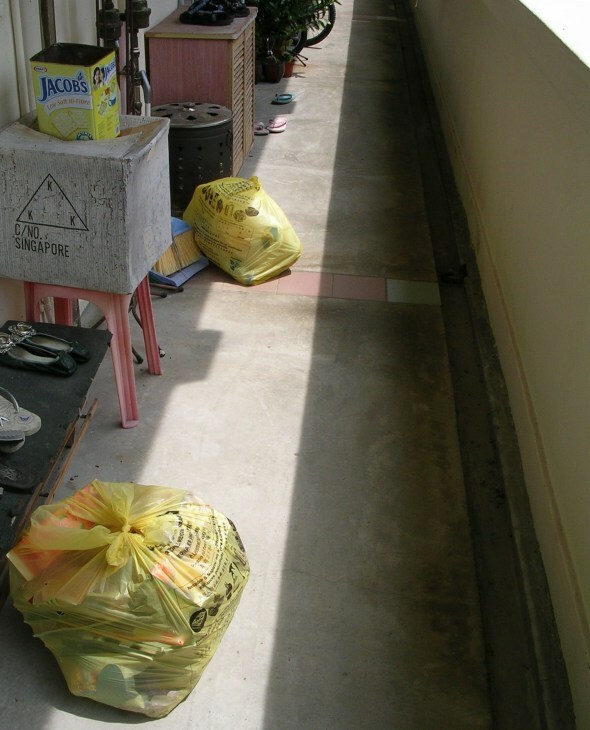 The karang guni man usually pays residents for the items. The items are sold to a waste recycling company or to a secondhand dealer. 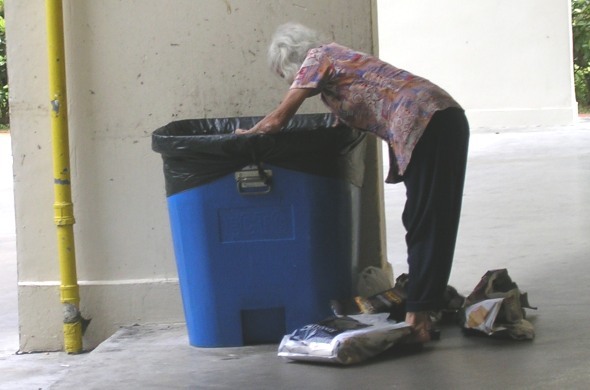 The informal recycling collection is usually done by the unlicensed poor elderly, who go through the rubbish bins in the neighbourhood and pick up recyclables such as newspapers, carton boxes and drink cans, from the bins. They usually sell the recyclables to a waste recycling company or to a secondhand dealer. We have been receiving frequent enquiries from our readers on whether certain waste items can be recycled under the National Recycling Programme (NRP) or through the public recycling bins. To be honest, we don’t have all the answers. So we started this new initiative called ‘Can Recycle?‘. We compiled a list of 70 common waste items and checked with the National Environment Agency (NEA) on whether the items are acceptable for recycling through the NRP or recycling bins. In Can Recycle?, you will find images of items categorised under Paper, Plastics, Metal, Glass, and Others. Point your cursor at the image and you can see the description of the item with comments from NEA. Check out the list of items in Can Recycle?